The former CB&Q mainline was loaded with trains this day! Here's an empty coal train headed back to Wyoming passing through Earlville. 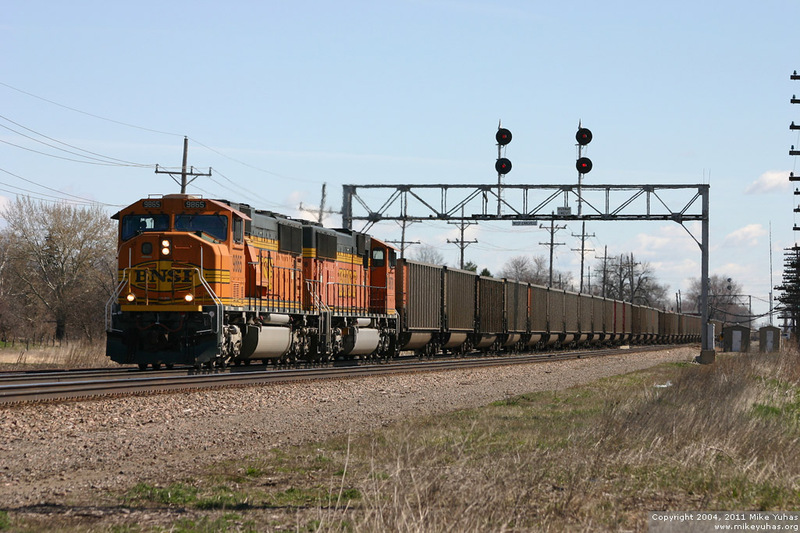 SD70MACs are the standard coal train power on BNSF.